We’ve been so lucky in the Philadelphia area lately because the weather has been nice and warm, averaging in the 70s. But this past weekend, the temperate dropped to the 50s, the skies turned gray and down came the rain. Despite the fact that it brought a rainbow on Saturday afternoon and blue skies had returned by Sunday afternoon, it sent me right back into hybernation mode and all I wanted was comfort food. 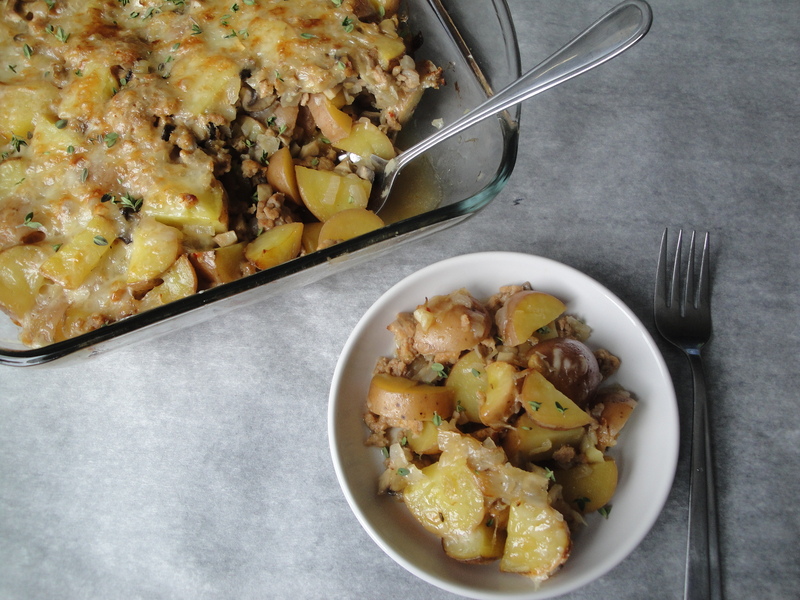 I initially thought that this recipe for Turkey Sausage, Mushroom, and Potato Gratin would be good for Easter but in my comfort food rage, I couldn’t stop myself from making it a little bit early. I have to tell you that I looooooove turkey sausage. 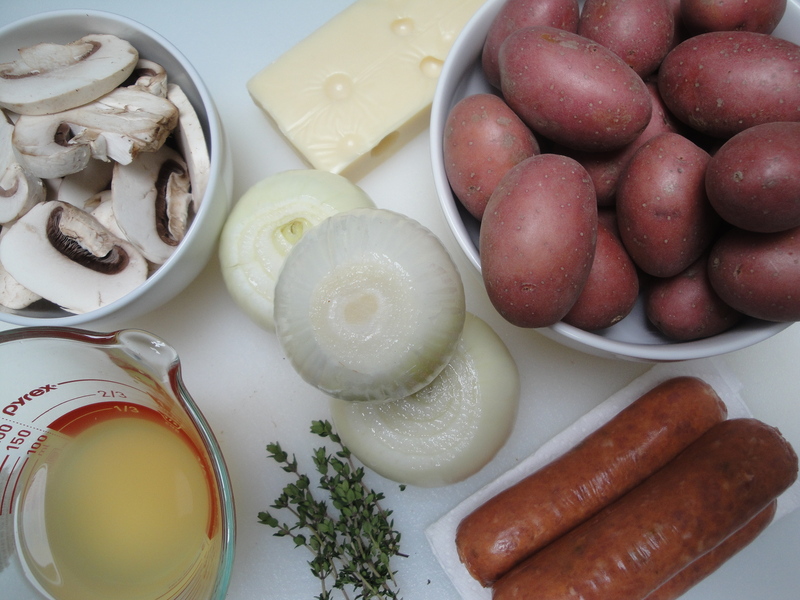 Pretty much any recipe I’ve made for this blog with turkey sausage has gotten my highest rating. I loved sausage as a kid, especially when smothered in maple syrup, and I regularly snacked on veggie sausage links when I was a vegetarian (and still do!). So, it shouldn’t surprise you when I tell you – I. Love. This. Dish! 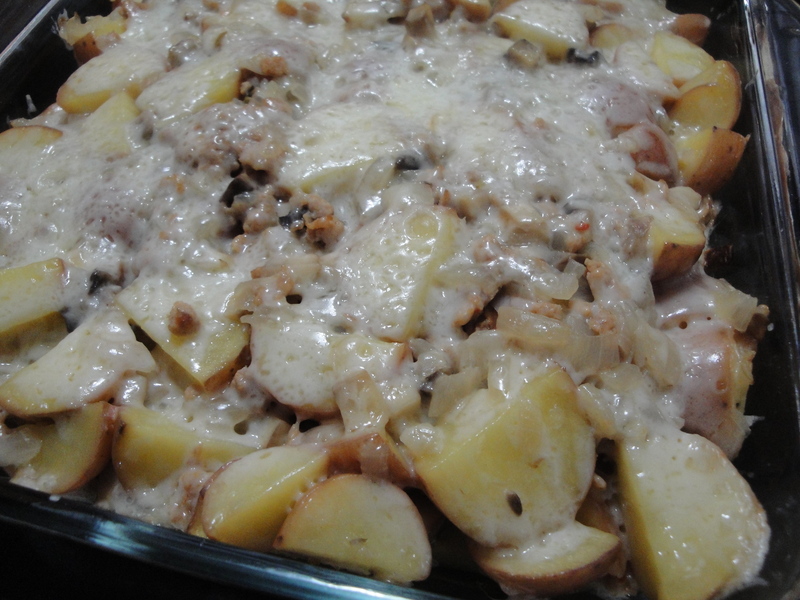 In fact, this is probably one of my favorite dishes I’ve made recently. 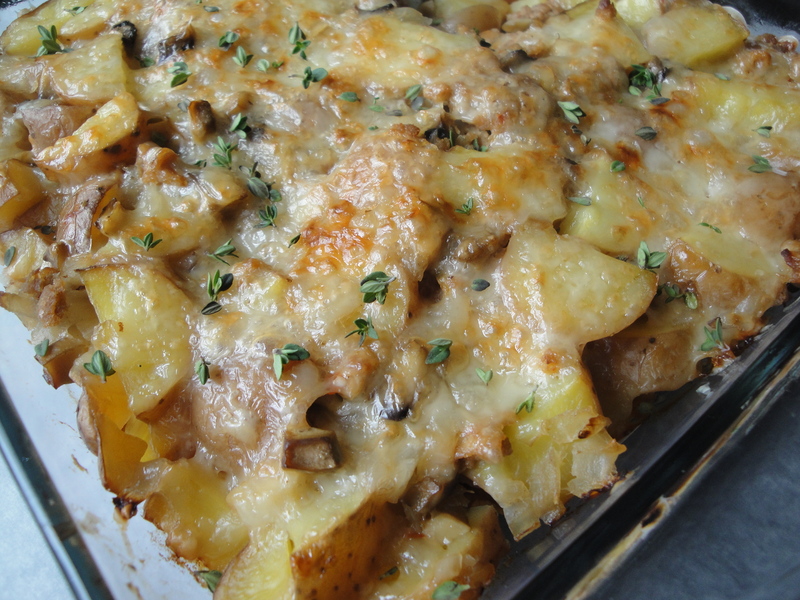 Filled with creamy potatoes, spicy sausage, earthy mushrooms and topped with Swiss cheese and fresh thyme, this is a comforting dish that would be great for either brunch or dinner. I hunkered down with a bowl of this on Sunday afternoon while I watched The Shining for the 600th time. Comforting indeed! Heat sausage in a large non-stick skillet over medium-high heat. 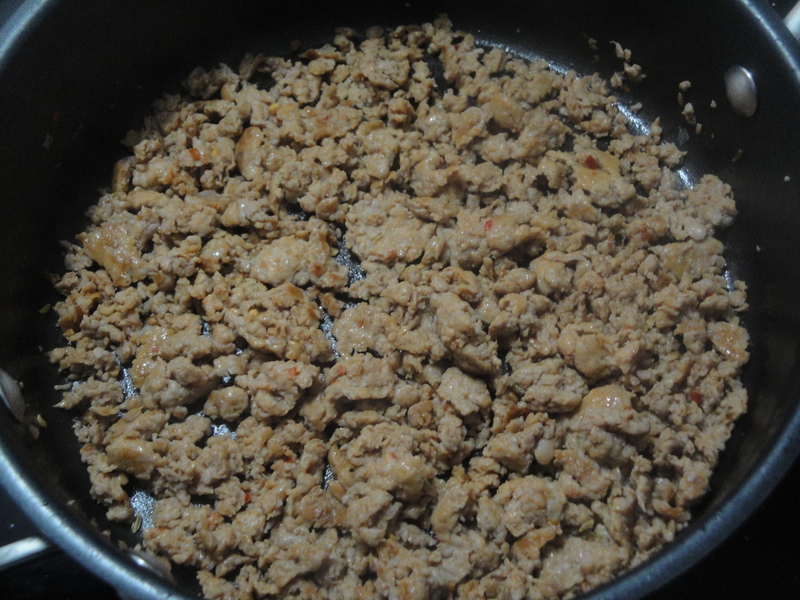 Sauté for 5 minutes or until browned, breaking up the sausage into crumbles. Remove the sausage from pan and wipe the pan with paper towels. 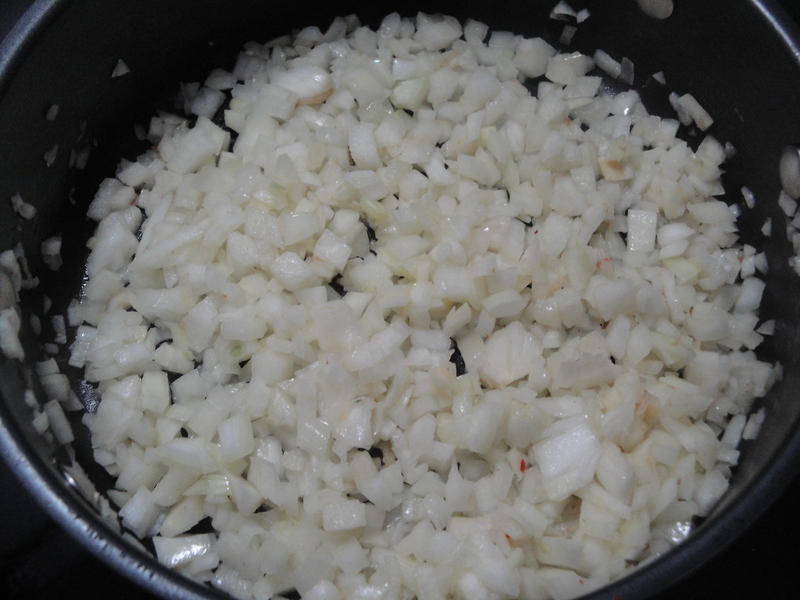 Melt the butter in the pan and add onion, sautéing for 4 minutes. 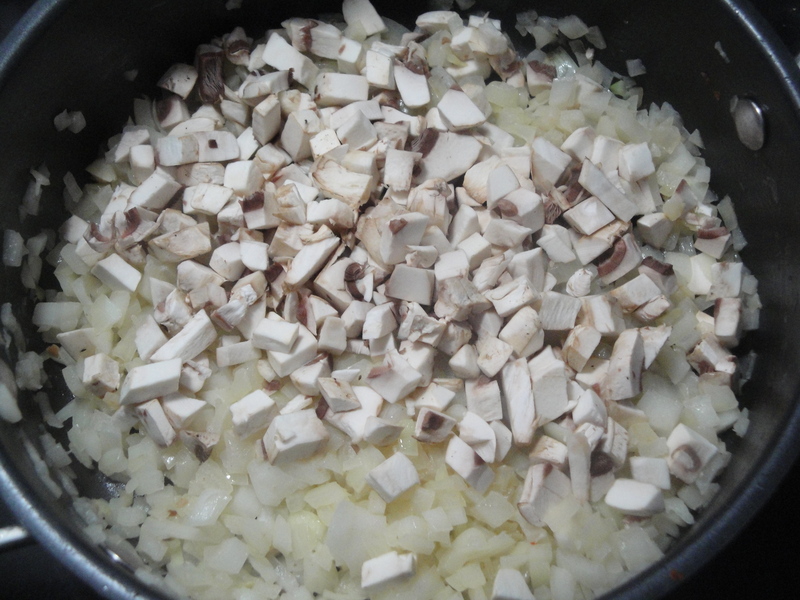 Add the mushrooms and sauté for 6 minutes. 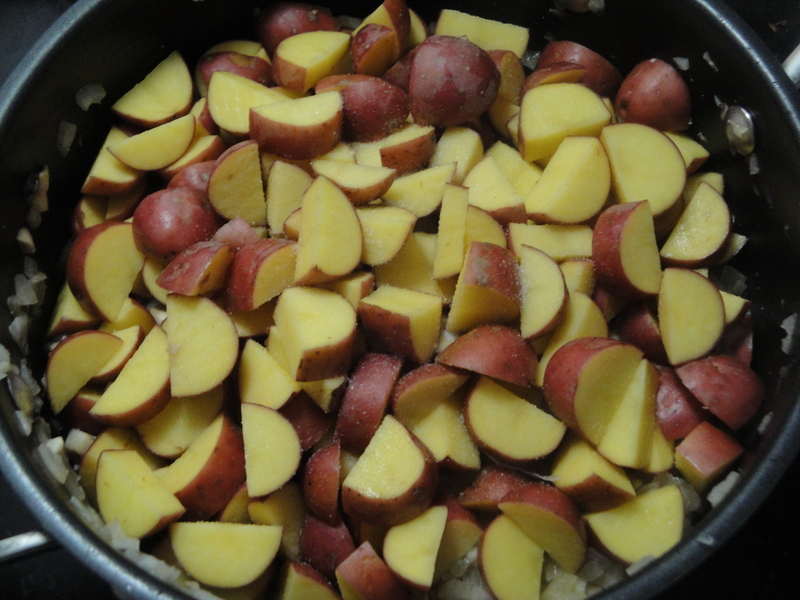 Add the potatoes and salt and sauté for 5 minutes or until browned. 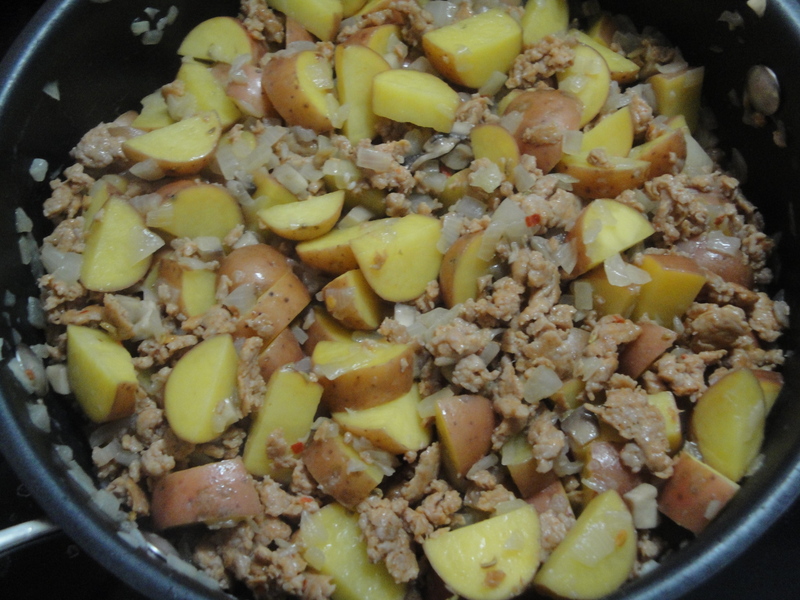 Stir in the cooked sausage and broth and remove from heat. 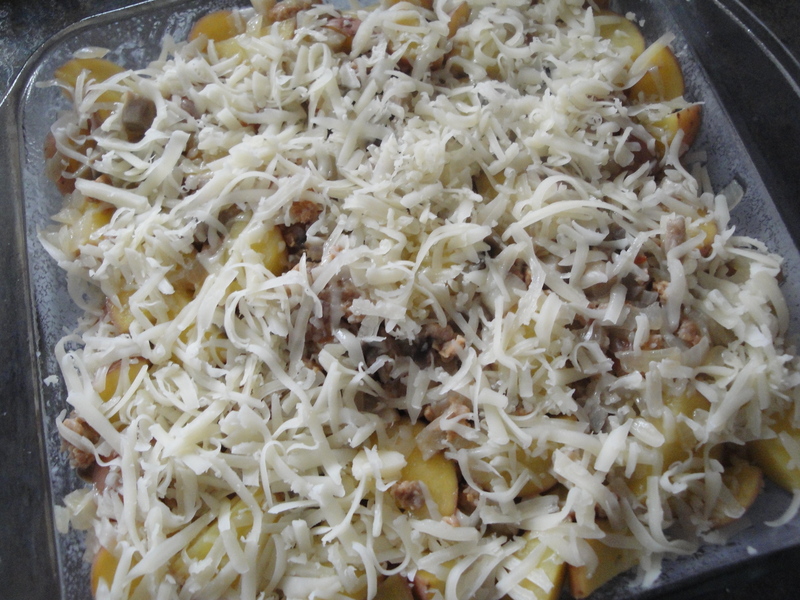 Spoon the mixture into a baking dish coated with cooking spray and top with cheese. Cover and bake in a 400°F for 30 minutes. Uncover and bake an additional 15 minutes or until golden. Sprinkle with thyme before serving.